Emma Smith, the famous wife of the Prophet Joseph Smith, is a well known character in Church history. One thing she is famous for is a phrase in an 1831 revelation in the Doctrine & Covenants in which she is declared to be “an elect lady” and her sins were forgiven (D&C 25:3). Many members of the Church take from this, and the mere fact that she was the Prophet’s wife, that Emma is secured a place in the Celestial kingdom. Can this really be so, considering the turn that Emma’s life took shortly after the death of her husband? This paper will briefly examine the life of Emma Smith after the death of Joseph and the requirements of salvation in the Celestial kingdom. Before the death of Joseph troubles were brewing for the Smith family. Emma’s hatred for plural marriage caused her to confide her feelings with the dissenter and future apostate and persecutor, William Law. Emma came under the influence of Law, and William Clayton observed that “Law & Emma [had been] in opposition to Joseph & the quorum” (William Law, Nauvoo Dissenter, Lyndon W. Cook, BYU Studies, vol. 22 (1982), #1 - Fall 1982). She was abusing her role as President of the Relief Society to “promote opposition to plural marriage” among its members (BYU Studies, vol. 36 (1996-97), #1--1996-97). Shortly before Joseph was escorted to Carthage jail where he would be killed, he, knowing that he would die, asked Emma to “train up my sons to walk in their father’s footsteps.” Emma never agreed to it and only kept brushing the request aside (Richard N. Skousen, Brother Joseph, vol. 2, p. 912). Shortly after the death of Joseph, Emma began to exhibit a rebellious attitude towards Brigham Young and the Council of the Twelve. “Even though Brigham Young and the other Apostles helped Emma financially after Joseph’s death and tried to appease her in all of her demands, she obstinately refused to follow their counsel” (ibid., p. 913). Though entreated by the Twelve to be taken safely across the plains as the widow of the Prophet and a priority, she refused. 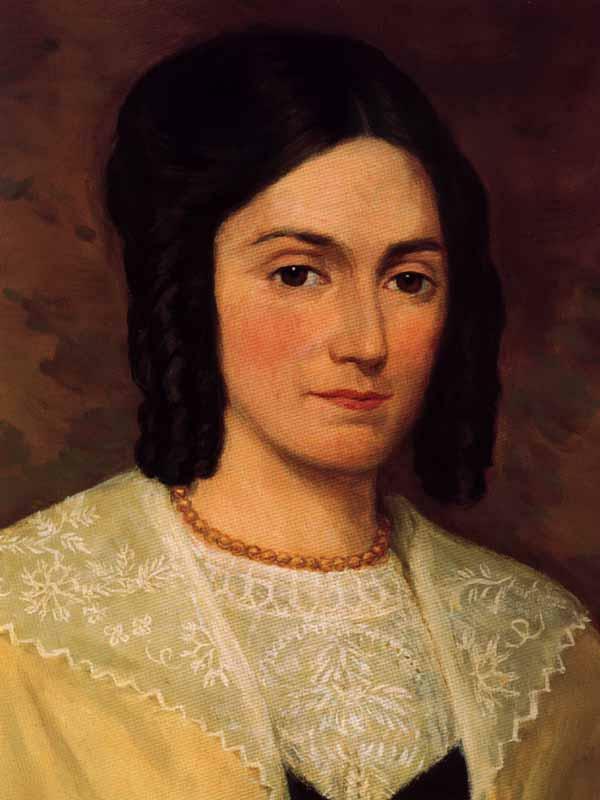 Though she had officiated for women when Joseph first introduced the endowment, after his death she refused to participate in helping the saints receive their endowments in the Nauvoo temple (Encyclopedia of Mormonism, p. 1325). She deepened in her animosity for the doctrine of plural marriage and throughout her life denied that Joseph had ever taught it, lying to her children and all others regarding the issue (Emma Smith: An Elect Lady, Susan Easton Black, p. 74-75). She outright lied to her children about the truth of plural marriage. Her resentment and creeping apostasy had turned her into an embittered liar and adversary to the truth. All of Emma’s children were raised outside of the Church and subsequently left it. Emma said, “I have always avoided talking to my children about having anything to do in the church, for I have suffered so much I have dreaded to have them take any part in it.” (As quoted in Susan Easton Black, Who's Who in the Doctrine and Covenants, p. 275). The surviving adopted daughter of the Murdock twins converted to Catholicism thanks to Emma’s lack of spiritual guidance (Emma Smith: An Elect Lady, Susan Easton Black, p. 72). And of Course, Joseph Smith III, the namesake and son of the Prophet Joseph, was made the head of the false “Reorganized” church in 1860, a church which systematically rejected much of Joseph’s teachings. Two of the three of Emma’s remaining sons, Alexander Hale and David Hyrum Smith, also took up careers as leaders in the Reorganized movement (ibid). Because of Emma’s influence, all of her family went astray after Joseph’s passing, and she remained defiant and bitter against the truth. When defenders of Emma argue for her Celestial eligibility, they seem to always say, “But look at how much she suffered,” suggesting that, since her trials were great then she is off the hook if she dealt with them poorly. Excuses are readily made for her as to why she did not go West with the Saints (usually involving her young children). But God has said of trials, “if thou endure it well, God shall exalt thee on high” (D&C 121:8, emphasis added). Note that he did not say, “If you have bitter resentment for the Church leaders, marry an apathetic nonmember, leave the Church, lie about its doctrine and never repent to your dying day, God shall exalt thee on high.” Yet some people would like to pretend that such can be the case, especially when discussing Emma. Joseph Smith taught, “Those who cannot endure persecution, and stand in the day of affliction, cannot stand in the day when the Son of God shall burst the veil, and appear in all the glory of His Father, with all the holy angels” (Teachings of the Prophet Joseph Smith, p. 42). (Dr. Daniel H. Ludlow, BYU Speeches of the Year, November 12, 1963). Mary Fielding Smith’s direct descendents include two Presidents of the Church, Joseph F. Smith and Joseph Fielding Smith, as well as apostles like Hyrum M. Smith and M. Russell Ballard. Emma’s descendents, on the other hand, have grown up outside of the Church because of her unwillingness to teach her children the gospel. What a contrast! Two women in similar situations, one noble and the other unfaithful. Shall they receive the same reward, with such a great difference in their works? There can be no doubt that Emma will be held accountable in part for the unbelief of her posterity. 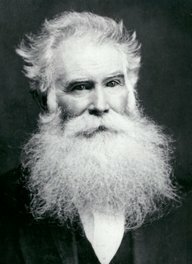 “And again, inasmuch as parents have children in Zion, or in any of her stakes which are organized, that teach them not to understand the doctrine of repentance, faith in Christ the Son of the living God, and of baptism and the gift of the Holy Ghost by the laying on of hands, when the child is eight years old, the sin be upon the head of the parents” (D&C 68:25). And we know that all men must...endure in faith on his name to the end, or they cannot be saved in the kingdom of God. Many have erroneously taken the phrase “thou art an elect lady, whom I have called” (D&C 25:3) to apply to Emma Smith throughout her whole life. But are we justified in assuming such a thing? The Savior taught that even the elect can be deceived and fall (Matt. 24:24, JS-M 1:22). Bruce R. McConkie concurred with this when he wrote, “Just as it is possible for the very elect to be deceived, and to fall from grace through disobedience, so an elect lady, by failing to endure to the end, can lose her chosen status.” (Bruce R. McConkie, Mormon Doctrine, 2d ed., p. 217). Section 25 of the Doctrine & Covenants itself, where Emma is pronounced an elect lady, contains at the end of it this caution: “Keep my commandments continually, and a crown of righteousness thou shalt receive. And except thou do this, where I am you cannot come” (D&C 25:15, emphasis added). Further, the scriptures give us plain instruction about one of the most critical prerequisites for salvation, namely enduring to the end. establish upon my rock, and the gates of hell shall not prevail against them. It is plain as day that Emma Smith did not meet this criteria. She had left the true Church and joined a false one, therefore she did not “endureth of [God’s] church to the end.” She did not “repenteth and cometh unto…my church” since she carried a resentment for the present leaders of the Lord’s kingdom, and raised her children outside of the truth established by her husband. 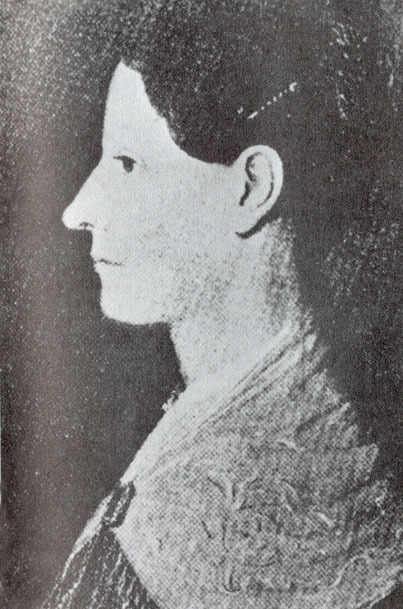 The reader will recall that Emma Smith stated, “I have always avoided talking to my children about having anything to do in the church, for I have suffered so much I have dreaded to have them take any part in it.” (As quoted in Susan Easton Black, Who's Who in the Doctrine and Covenants, p. 275). But Jesus said, “Blessed are ye, when men shall revile you, and persecute you, and shall say all manner of evil against you falsely, for my sake...for great is your reward in heaven” (Matt. 5:11-12, emphasis added). It goes without saying, that those who will not endure persecution will not obtain the crown. Section 76 of the Doctrine & Covenants declares that those who inherit the Celestial kingdom are those who “are the church of the Firstborn,” (D&C 76:34) meaning they are members of the Church, the same Church which Emma left. To those who insist that Emma will inherit Celestial glory, I ask: How does that work? By what law or principle found in the scriptures can a rebellious person who knew the truth die in their sins and still be saved in the Celestial kingdom? The Lord has said, “For of him unto whom much is given much is required; and he who sins against the greater light shall receive the greater condemnation” (D&C 82:3). No one would dispute that Emma received much in the way of spiritual knowledge, yet many of Emma’s supporters think that when it comes to Emma Smith, where much is given, less is required! There is no free pass. There is no footnote in the scriptures that says if you are the Prophet’s wife then you can apostatize and still receive Celestial glory. All must meet this test of mortality to its end. All must endure to the end, or they cannot be saved. One thing that is often held to Emma’s credit is the account that on her deathbed she saw Joseph coming to her. It should be a point of hesitation to believe Emma Smith’s testimony about seeing Joseph in vision, when she had been lying for years about his involvement in plural marriage. However, at the time of her death, Emma did not even recognize her own children, therefore she was clearly not in her right mind (Emma Smith: An Elect Lady, Susan Easton Black, p. 85). Even if Joseph did in reality appear to her, that fact in and of itself would not be indisputable proof of her acceptance into God’s kingdom. Though Emma Smith should be admired and celebrated for her positive contributions to the Church, we should not kid ourselves regarding her ultimate fate. Emma did not stay true to the gospel. She spurned the revelations of God and the teachings of heaven. 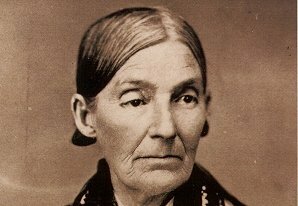 She raised her children outside of the Church, and consequently the posterity of Joseph Smith are unbelievers. Since no one is exempt from enduring to the end, and Emma clearly did not endure to the end, it follows very simply that she will not inherit Celestial glory. That is all there is to the matter. Indeed, it is dangerous on principle to suggest that corrupt and rebellious people can inherit God’s kingdom. So why make an exception for Emma? To do so makes no sense. A gospel plan which would allow for the salvation of such a rebellious person is not the one that her husband revealed to the world. 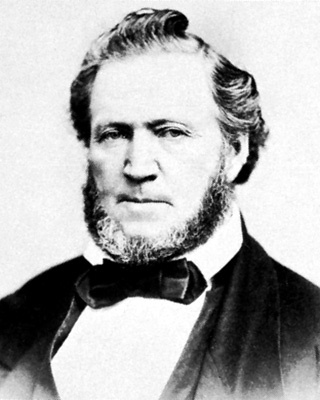 Upon relating an experience when Emma deliberately tried to destroy a revelation from God regarding plural marriage, President Brigham Young said, “she will be damned as sure as she is a living woman. Joseph used to say that he would have her hereafter, if he had to go to hell for her, and he will have to go to hell for her as sure as he ever gets her.” (Journal of Discourses, 17: 159). Brigham Young, successor to Joseph Smith, a prophet, seer, and revelator, and personal acquaintance of Emma Smith, declared that she would be damned for her rejection of God's Church and revelations. Loyal to the Word NOTE: It should be very plainly understood by all readers that unless a person abides the laws of the Celestial kingdom, they cannot enjoy family relations in the eternities (D&C 132:21-22). Joseph’s comments that he would go to hell to get Emma if he had to were merely an expression of his love for her, not an actual possibility.